and get certified with world class training. We concentrate on what employers need and the career development of our young people. We match people to employment and monitor and review this process so every individual has the best opportunity possible and the best training available to assist their development. It is company policy to ensure personal development and although we have trained apprentices on 4 occasions to achieve World Skills Gold and Bronze we have not forgot the necessity to develop every individual to their best potential. 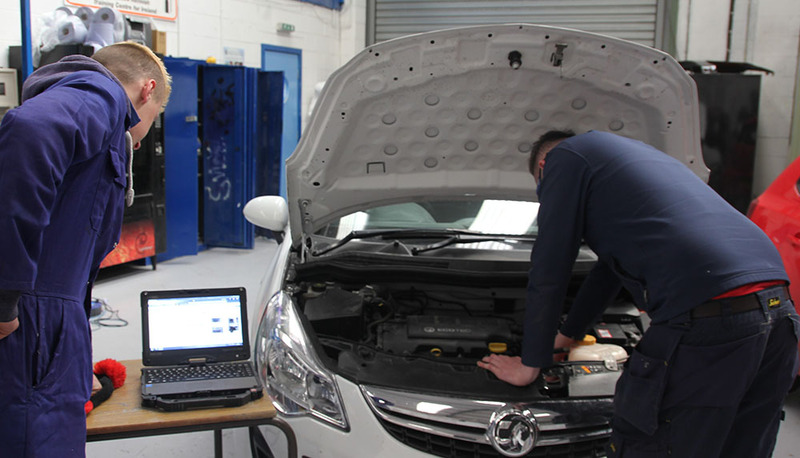 Riverpark Training and Development is Northern Ireland's leading world class training provider for all technical areas of the Motor Industry. 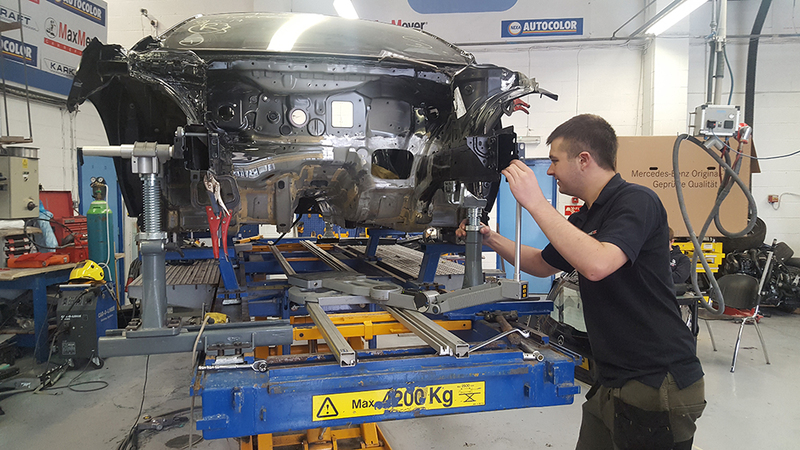 Our range of apprenticship, training & IMI Courses include Vehicle Maintenance & Repair, Vehicle Parts, Vehicle Body Repair, Vehicle Fitting and Vehicle Refinishing. If you want to learn more don't hesitate to get in touch. Riverpark Training and Development is the only provider of IMI acreditied courses in Northern Ireland. When the time comes to refresh your skills and stay legal, make sure to give us a call. Bill started training in 2002 and became an apprentice at Wrights Accident Repair Mal- lusc, he achieved his NVQ Level 3 in 2005 and was also a finalist at Thatcham Craft Awards twice. Bill has now progressed to become a Foreman in the body shop and is also highly influential in ensuring both the Mallusk and Dromore sites of Wrights ARC meet the require- ments if BSI. Robert was one of the 1st apprentices that attended the former Blackwater House. He trained here for 3 years and achieved his NVQ 3 in 2003. Since then he has worked for Wrights Accident Repair in Mallusk then moved to their Carryduff branch as a foreman in the paint shop. In 2013 he joined LKQ Automotive Refinishing Products as a Technical Repre- sentative and is currently providing paint systems instillations and technical support to the accident repair industry in Northern Ireland. The inspection report carried out by the ETI has graded Riverpark Training as very good in all areas.